The drone industry is on the cusp of a revolution, with consumer adoption expanding and commercial applications growing, yet the tight regulations stand in the way of exponential innovation. The industry is forecast to reach $100 billion market opportunity by 2020 (Goldman Sachs). 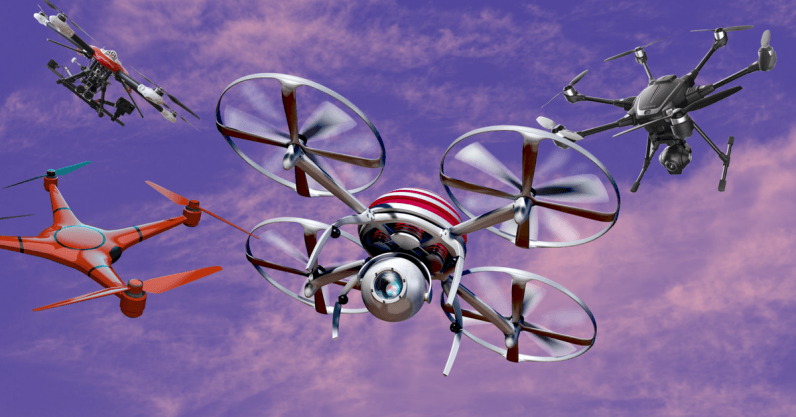 The drone industry could impact our day to day lives through applications in search and rescue, healthcare, humanitarian aid, package delivery, and security. There is a two-fold issue faced by the industry in this regard. On one hand, there needs to be increased regulation and understanding of risk from a security standpoint as it pertains to public spaces and certain industries. On the other, current regulations restrict industry growth by placing a one-size-fits-all set of rules on UAS (unmanned aircraft system) that is simply too strict. In order for the industry to thrive and advance to the next stage of invention and adoption, the following three conditions need to change. This goes for all countries, but I’ll focus on the US in this article for clarity’s sake. One of the first changes that must occur before the drone economy can scale is the implementation and enforcement of safety guidelines across consumer and commercial drone operators. This involves more dedicated man power from the Federal Aviation Administration (FAA) and an increased focus on UAS market. Manned aircraft pose a greater risk and resources are actively focused on this in place of drone regulation enforcement. The sheer volume of drones in the sky make it difficult for the agency to address complaints or identify users to enforce regulations being violated. To that end, the FAA uses a compliance method that favors issuing “compliance actions” which offer education along with corrections. “Administrative actions” and “enforcement actions” are the more severe options which involve a letter of correction or warning and civil penalties or revoked license respectively. Between 2007 and present only 420 compliance actions, 49 administrative actions and 49 enforcement actions have taken place (PDF). Secondly, it is critical for commercial operators and businesses to be able to engage in beyond-visual-line-of-sight operations, which are currently banned with the need for a waiver to authorize such flight. The ability to fly drones BVLOS represents the next big opportunity for commercial drone operators. Without the ability to execute this style of flight, some applications for drone technologies will be impossible to research, test and implement. To date, more than 1,200 BVLOS waiver applications have been submitted to the FAA and 99 percent have failed to be approved. To relegate risk and streamline the approach to this more programs like the UAS Integration Pilot Program (UAS IPP) should take place and more supporting technologies should be utilized. The UAS IPP allows select state, local and tribal governments to partner with commercial drone operators and businesses to accelerate the safe UAS integration through BVLOS, low altitude flight and night-flying. Additionally, with the use of supporting technology like radar and lidar, BVLOS can be safely explored. Prisons, oil refineries, power plants, stadiums, and government buildings are at risk of being compromised by malicious or out of place drones. In addition to reducing regulations to improve commercial use opportunities, the balance of airspace safety needs to be considered. To ensure broad safety, no-fly zones should be delegated and enforced over select public spaces and throughout specific industries. Additionally, the need for detect and destroy capabilities will be crucial. If a drone is flying in the wrong place or is nefarious, it needs to be efficiently removed to maintain safety. With a nascent industry comes the need for change and if the pace of regulation change can progress the drone industry will not be held back.